It seems Samsung isn’t done with using the Galaxy A7 moniker for its mid-range smartphones. Samsung launched the Galaxy A8 (2018) and Galaxy A8+ (2018) as the 2018 versions of the Galaxy A5 and Galaxy A7, but the company is also working on a Galaxy A7 (2018). This confirmation comes from the Bluetooth SIG, which has certified the ‘Galaxy A7 2018’, a device that carries the model number SM-A750FN. The SM-A750FN has been spotted on a benchmark website and at the FCC earlier, although we expected it to be the successor to the Galaxy A8+ (Samsung tends to skip the number 4 in the model numbers because the number is considered unlucky in South Korea, which is why the Galaxy Note 8 was also SM-N950F and not SM-N940F). That successor will no doubt arrive at some point, but right now it’s the Galaxy A7 (2018) that Samsung is gearing up to launch in some European markets. 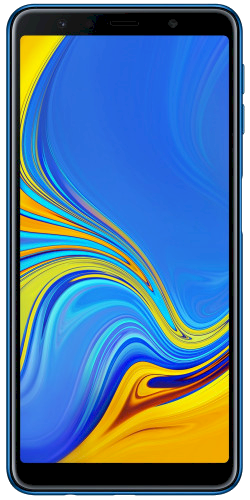 The Galaxy A7 (2018) specs are expected to be similar to the Galaxy A8+ (2018), but it remains to be seen if it will be part of the new wave of mid-range phones Samsung is preparing. The company has said that it will be bringing new high-end features to its mid-range devices before flagship ones in the future. These features could include an under-display fingerprint sensor, a quad rear camera setup, or something else entirely. Only time will tell, and it will hopefully not be too long before the Galaxy A7 (2018) goes official.